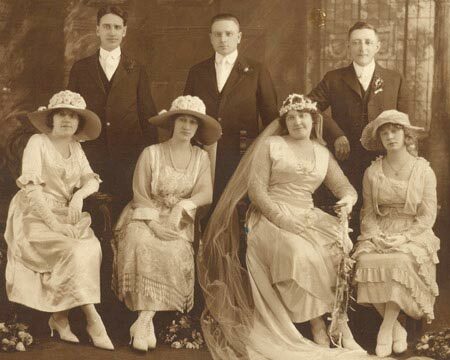 My ancestry is Chicago Polish and the majority of my information comes from the church records from Chicago parishes and Polish parishes, census records and obituaries. I have other sources like death certificates on a few people or immigration records, but most is from the above mentioned sources. I find the church records to have more information for me to further my research and are also the least expensive way to search. I do follow a lot of lateral lines looking for clues on my main lines so it is more than likely I have more than what you find posted on my site. If you think you may have a connection and would like more information please contact me. I am always willing to share what documents I have in the hope that someone out there has that one scooby clue for me to go further in my research. Use the scroll bars to move about the screen. Wherever you are on the site you can always return to the family tree chart by clicking on the tree link at the top of any page. Also, all pages can be accessed through the links at the top and left of any page. On their respective surname pages, each ancestor has a summary about their family. If more information is required, such as further sources, then click on the contact link provided at the top of any page. Also at the bottom of some of the surname pages there are links to comprehensive lists of descendants. Copyright © Tree's Family Tree 2008-2012. all rights reserved. Please seek permission before using any data/photographs contained within this site.